Side projects usually tend to go one of several ways. They are either an extension of an artist’s main body of work, something completely different and interesting, or just a vanity project to shine a spotlight upon them. When you listen to The Black Queen’s stunning debut album ‘Fever Daydream’, you don’t feel that this is just a something that was thrown together during down time, or get the impression they are here to flaunt anything. For Greg Puciato of The Dillinger Escape Plan, The Black Queen is a platform to exorcise some personal demons he is unable to do anywhere else. Along with Joshua Eustis from IDM pioneers Telefon Tel Aviv, and friend/guitar tech Steven Andrews, they have created one of the most memorable “side projects” in recent memory. Tonight in London, they are here at the sold out Oslo in Hackney, for what is not only an exclusive European performance, but also their second ever live show. With the album having only been released for a week prior to tonight’s show, and the background of members of The Black Queen, you can cut the expectation in the room with a knife. Joining tonight’s headliners on both this and their debut show in Los Angeles a week ago, is Drab Majesty, the solo project from Deb Demure, the glamorous alter-ego of Marriages drummer Andrew Clinco. The set is drawn from Drab Majesty’s 2015 album ‘Careless’, and it is hard to take your eyes from the stage during the entire performance. Carrying a heavy 80’s synth-wave vibe, and marrying performance art with an enchanting sound, Drab Majesty turn more than a few heads this evening. As ominous, chest-collapsing bass rattles through the building, it signals the arrival of The Black Queen. If you didn’t know this was their second show, you would think they have been a band for a lifetime. 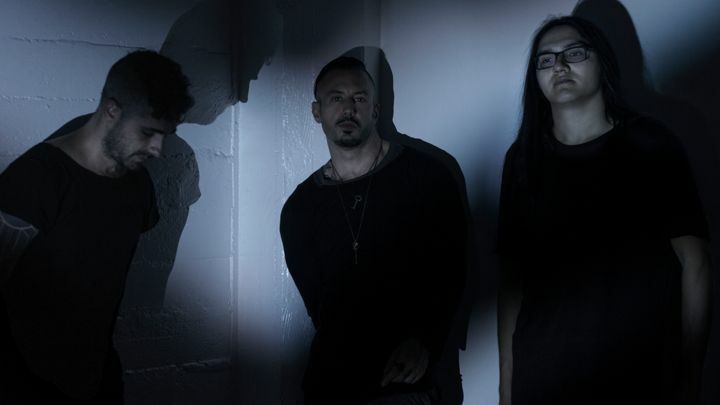 Puciato’s soulful vocal through ‘Distanced’ sounds smooth and slick, and the pulsating 808 kicks of ‘Ice To Never’ are as clear as they are on record. Through a hail of strobe lights and smoke, Puciato seems right at home, despite being out of his regular comfort zone. He prowls the stage, feeling every beat of the “four-on-the-floor” anthem ‘Secret Scream’, and has the mesmerised audience in the palm of his hand. As expected, everything tonight is from ‘Fever Daydream’, and its clear that the album has had an impact on the devoted crowd tonight. Sure, there are people that will have attended tonight being just Dillinger Escape Plan or Telefon Tel Aviv fans, but the chorus of voices that echo back at the band during ‘Maybe We Should’ say that people are here out of more than just curiosity. The brooding sexuality of ‘Taman Shud’ has everyone moving, and shimmering ambience of ‘Apocalypse Morning’ ends there set perfectly. 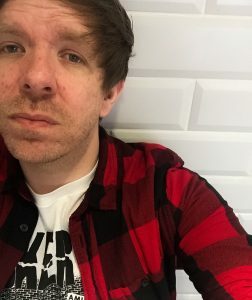 However, given tonight is an early show, and ends before 9:30PM, they probably could have played every track from ‘Fever Daydream’, and no one would have minded. Whether or not The Black Queen is one time outing for its members remains to be seen, but they are utterly infectious, and strangely accessible. There is even potential for them to become a far bigger prospect than they possibly think. Either way, tonight’s show is incredibly special, and one that will be remembered for a long time.